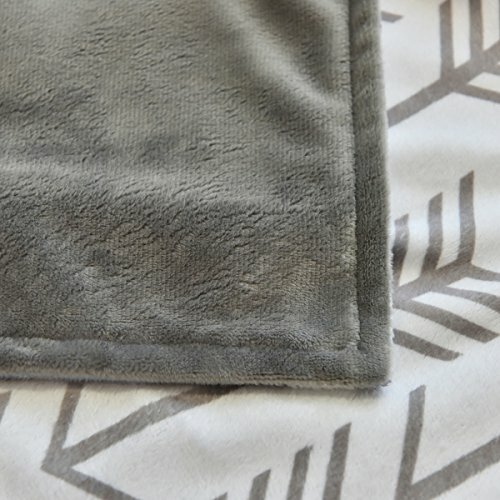 -Baby Minky Blanket with Grey Arrows Patten in Face and Solid Grey for Back. – The Blanket is made of super soft minky which is suitable for baby’s sensitive skin. 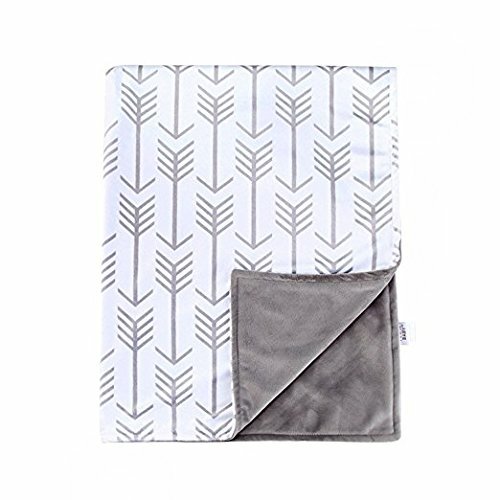 -The blanket size is 30×40 inch which is also suitable for swaddling sleeping ,car seat and play mat. 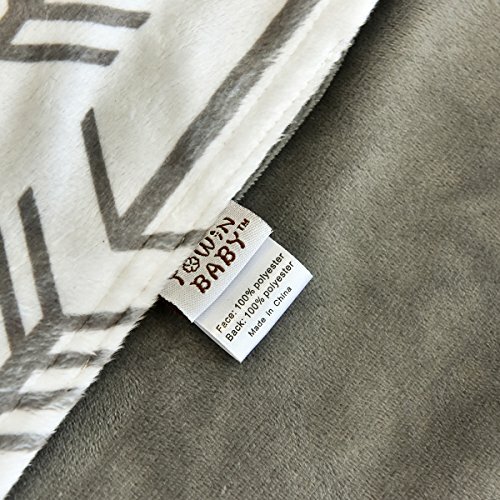 Mulit Uses: Sleeping , swaddling, tummy time,play mat, stroller Cover, and car seat rides or an all-around favorite blanket.